On a rainy Saturday in South Florida, Gabriela Garcia lay in her bed watching another episode of "Castle." She could get some fresh air, or even read a book or two, but watching Richard Castle investigate the homicide of a reality-show contestant had her enthralled. Before the day was out, she watched five more episodes of the TV series on Netflix. "It's my therapy," says Garcia, a 37-year-old compliance officer at a Miami bank. "I work hard during the week and on weekends, I want to be lazy." It's now easier than ever to get lost in marathon TV viewing sessions — a refuge that is becoming increasingly popular with America's workers in their off hours. But how does the TV time-vacuum square with complaints about increasing workloads, hectic lifestyles and struggle for work/life balance? If workers value free time so fiercely, why spend that time glued to the tube? A new study by Harris Interactive on behalf of Netflix shows 61 percent of us binge-watch TV regularly, watching at least three episodes of a single series in one sitting. Almost three-quarters of the public view binge watching as a positive experience and nearly 80 percent say that feasting on shows actually makes them more enjoyable. "People are looking for refuge from the constant press of business," says Grant McCracken, a cultural anthropologist who helped conduct the Netflix research. "At the same time, the stories are getting better than they used to be." Dramatic series such as "Breaking Bad," "The Wire," "Downtown Abbey," "Orange is the New Black" and "Game of Thrones" are breaking the traditional rules, making TV even more complex and binge-watching more fun. At the same time, more people have signed up for Netflix, Hulu and Amazon Prime to get TV content streamed right into their television, laptop, tablet or smart phone, giving them a library of shows at their fingertips. And viewers are logging on in droves; just this week, Netflix reported it increased its total of paid subscribers to 47.99 million in the second quarter, up 34.7 percent from the same period last year. Viewers say watching multiple episodes in order makes the sometimes-complicated plot lines easier to follow. But there is more behind the trend. Some workers admit they have binged to catch up with the current season so they can participate in conversations and inside jokes in their workplace lunchrooms or staff meetings. It was water cooler conversation at her office that led publicist Mary Sudasassi, 43, to watch "The Walking Dead." Sudasassi says she quickly became addicted to watching multiple episodes in a row. "After work and dinner, I would look forward to it like a prize." This summer, she and her husband, a mechanical engineer, are spending entire weekends diving into series that capture their attention. One Saturday, the couple watched eight episodes in a row of "Game of Thrones." "We had to stop ourselves because we knew we should be doing something more productive," she said. But at the same time, Sudasassi says she looks at it as a fun couples' activity. "It's a way for us both to escape from stress." McCracken found the word "binge," typically tinged with guilt or shame, has evolved into something different when it relates to television. Instead of vegging out like couch potatoes, television viewers now are called on to pay more attention to the action — and they are rewarded for it. "There's an 'Oh my God' reflex that comes out of new TV," says McCracken, that causes views to look beyond the surface to explore the plot and their responses do it. "It's not really that (Americans) are binging but rather they are feasting on good TV. Much of this new "feasting" behavior is triggered by control. With DVRs and streaming, viewers can watch shows when they want, where they want, how they want and at the pace they want — in the middle of the night on a plane on a laptop, for example. Netflix studied viewer behavior and reacted to it "when given option, people were watching at least a couple of episodes in a row," says Jenny McCabe, a spokeswomen for Netflix. Those findings were behind its decision to release all episodes of "House of Cards" out at one time. 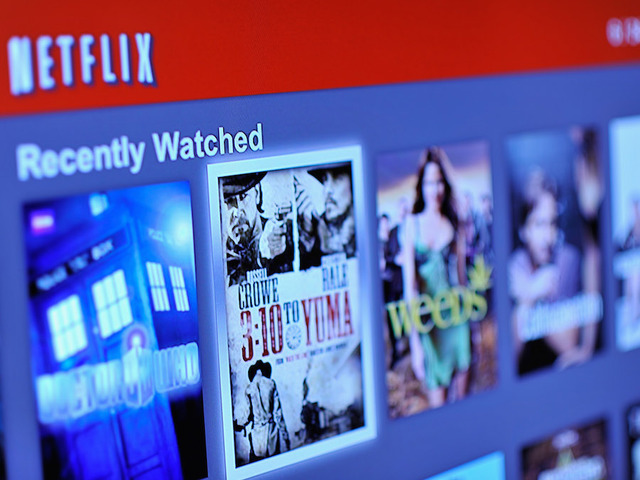 Netflix's research showed that 25 percent of subscribers who watch its 10 most popular shows cram an entire 13-hour season into two days; another 48 percent watch the entire season in a week. McCabe said Netflix intentionally eliminated commercials and the replays before each episode to (enable) viewers to use TV time efficiently. Or, as one lifestyle blogger, wrote, content producers are basically saying "Take the weekend, watch all 13 hours of this thing. DO IT." A working mother of young children, McCabe admits she binge-watches, too, catching up on multiple episodes of her favorite shows when she goes on a business trip. "I don't' have to share the TV with my significant other and I can just power through something." National branding guru Jay Leopardi, co-owner of Bad Boy Branding agency in Miami, says not only has he marathoned while on business travel, but he has watched multiple episodes late at night, sacrificing sleep and giving in to the urge for 'just one more.' "I'm an extremely busy person, but I have stayed up and watched 'House of Cards' for five hours straight while my wife and kids were asleep," says Leopardi. "It hooked me. It was that good of a show." In our instant-gratification society, the new content-providers, like Netflix, have realized that there is something satisfying for viewers in knowing that if an episode ends in a cliffhanger, in a few minutes they can see what happened. Leopardi says this is true for him: "I have zero patience. I don't want until wait to next week to find out what happens." Regardless of when or where it happens, marathoning represents a huge time commitment. Watching the entire five-season series of AMC's "Breaking Bad," the highest rated show of all time, requires the devotion of more than 46 hours. "When you put it like that, I feel embarrassed," says Robert Yanks, a 24-year-old Fort Lauderdale advertising executive. "When you're watching, it never seems like a big commitment because it is at your leisure." Over a weekend, Yanks said he and a friend might spent up to six or seven hours on the couch in a TV marathon of provocative dramas, illustrating that binging isn't necessarily a solitary act. Among those who streamed multiple episodes of a TV series in a row, a combined 51 percent prefer to watch with at least one other person and talk about it afterward, research shows. Many even turn to social media for discussions. Experts say people are giving up movies, books and exercise to escape into the world of Breaking Bad's Walter White or Scandal's Olivia Pope. McCracken says it's clear to him why: "There is pleasure in the ability to sit at home watching episode after episode of great TV with the world kept at bay." Cindy Krischer Goodman is CEO of BalanceGal LLC, a provider of news and advice on how to balance work and life. She can be reached at balancegal@gmail.com. Read her columns and blog at http://worklifebalancingact.com/.